Spring is, by far, one of my favorite seasons. I personally think it’s the most romantic…with trees and flowers in bloom and warm weather settling in after a cold winter. 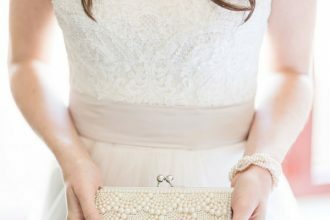 I always feel like spring holds a lot of promise, which is why I think it’s the perfect season to get married in. 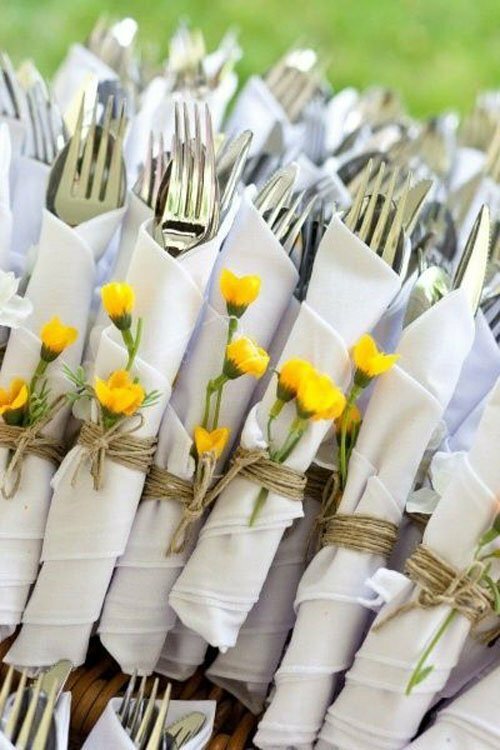 When I think of a spring wedding I envision TONS of flowers. Flowers in your hair, on your dress, in the aisle, on your tables, and definitely on your wedding cake. 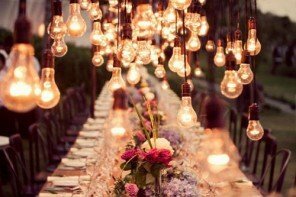 If you’ve dreamt of a garden wedding party all of your life, spring is the time to do it! 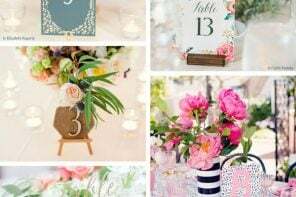 Let your girly side run free if you’re planning a spring wedding and go for bold and feminine colors (as long as your fiance is into it of course. :)) and let nature play a part as much as you can. 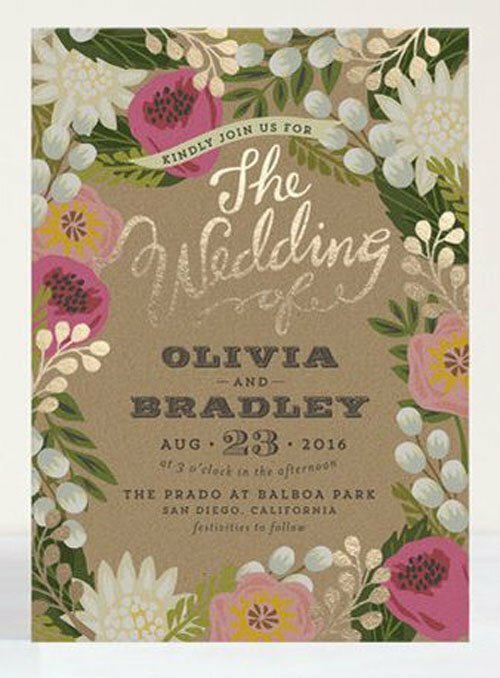 Birds, butterflies, eggs…these are all fun elements of spring that can definitely inspire your wedding theme. 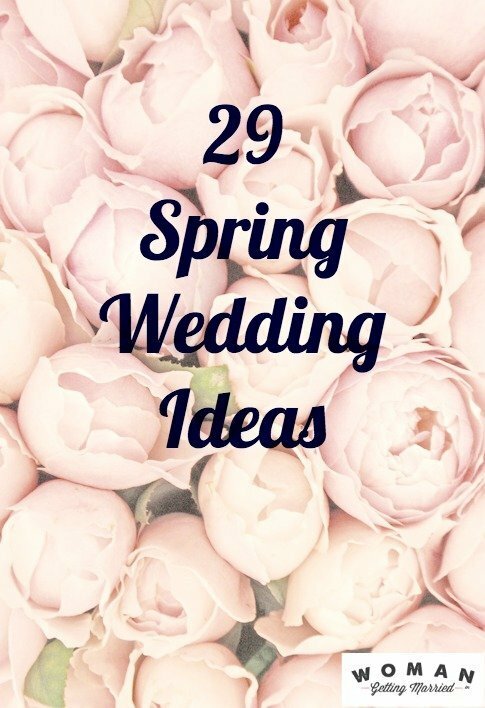 I’ve compiled a few of my 29 favorite spring wedding ideas, below (and this is just skimming the surface in terms of what is out there!). One of the best ways to get inspired for a seasonal party (aside from Pinterest) is to visit stores like Pottery Barn, West Elm, and Crate and Barrel and check out their in-store table displays. 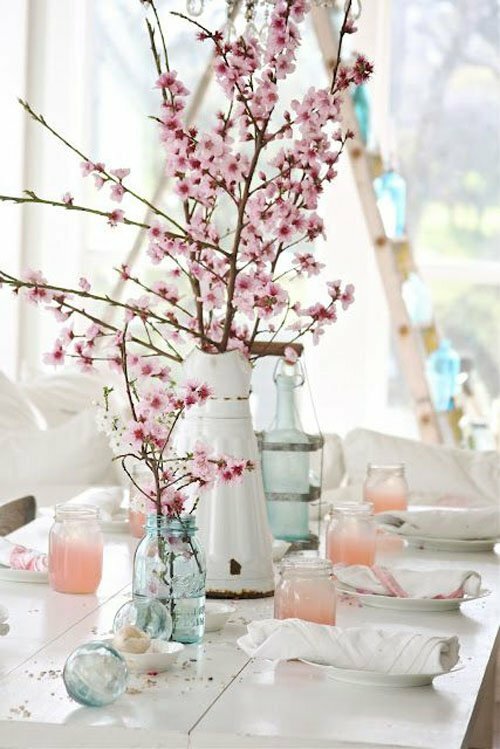 I always find they do a great job at playing up whatever season is approaching, and it can give you a few more ideas as to table settings and other decor you can use for your own spring wedding. Now on to the ideas! Looking for more spring flower inspiration? 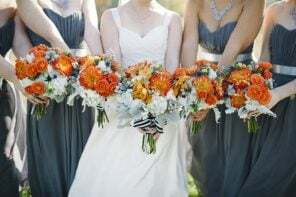 Find out which wedding flowers are in season here. 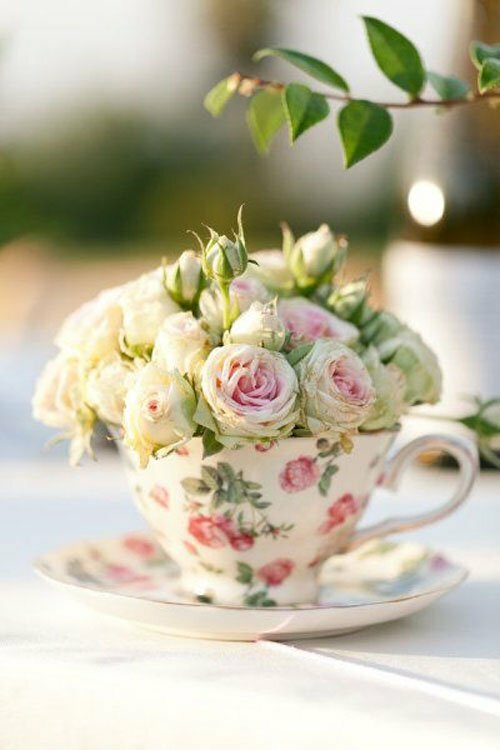 If teacups and roses don’t scream spring garden party, I don’t know what does! To start your teacup collection, search various thrift stores like Bride Bethany did in this featured real wedding. 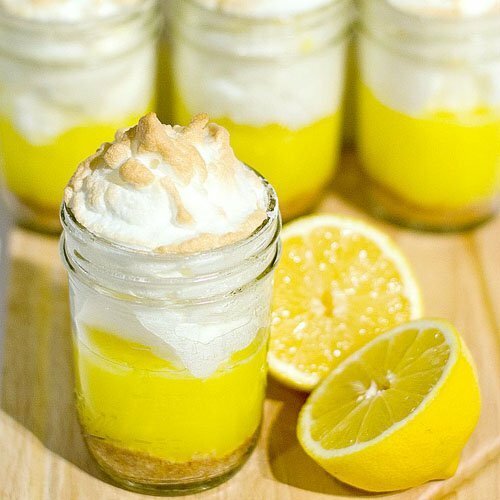 A lemon meringue pie in a mason jar is seasonal, convenient for guests, and we’re guessing amazing?! 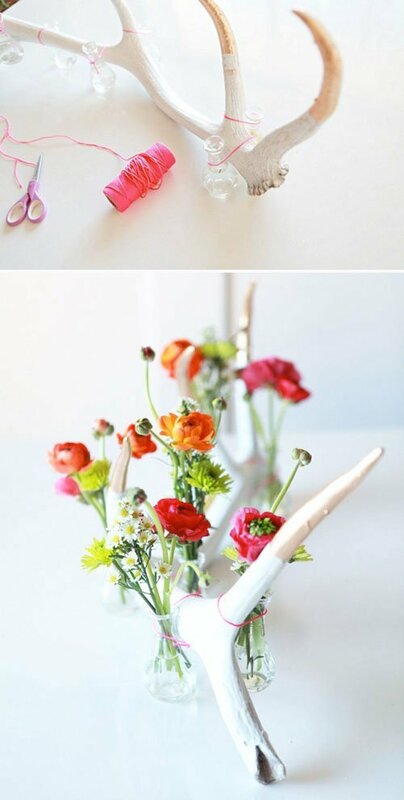 This is such a unique way to display flowers…I would definitely use BRIGHT flowers to add a major burst of color. 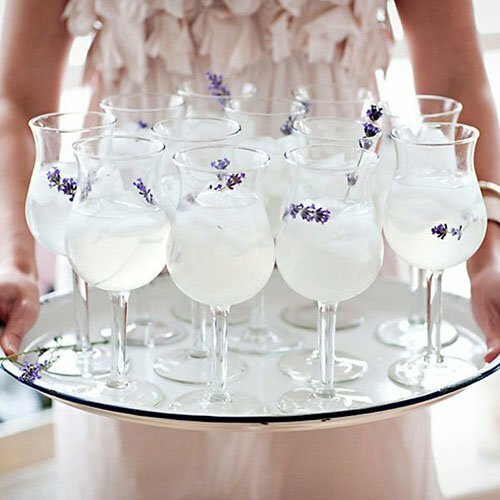 Greet guests arriving to your ceremony with a fresh spring drink (and a flower accessory). 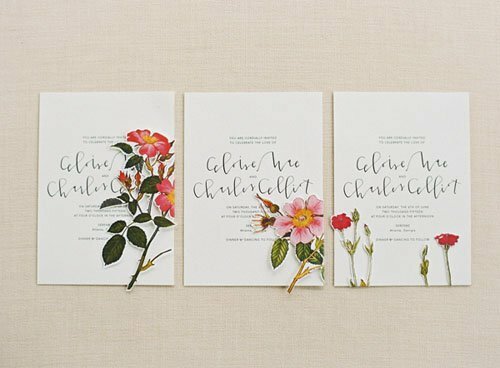 Let the season play a part on your wedding invitations, too. Spring is the perfect time to celebrate outside since it’s not typically blazing hot yet (though in this weather, who knows). 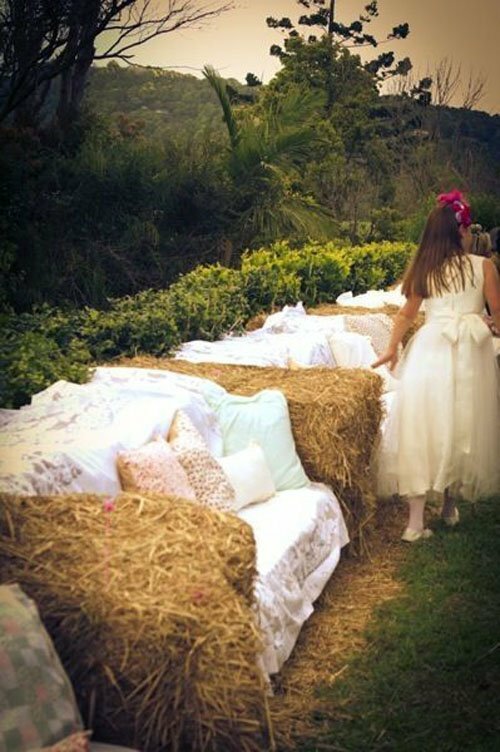 Line up hay bales and cover them with fun quilts or shabby chic blankets for inexpensive and clever outdoor seating. I’m not always a fan of holiday decor, but eggs are so versatile and fun that they should definitely be incorporated into more spring weddings. I love this centerpiece idea using eggs, below. 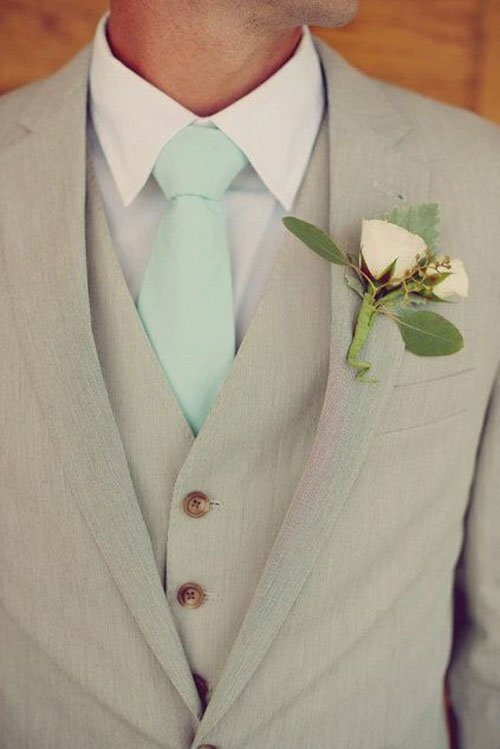 When it comes to your fiance’s suit, opt for a lighter color and fabric. Blues and pinks are perfect for a spring wedding! 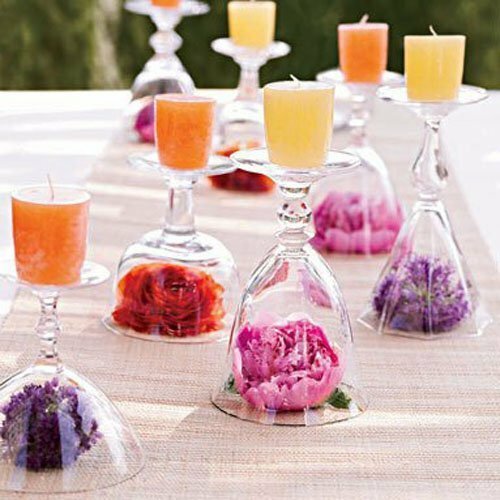 A single bloom under different shaped wine glasses or coupes serves as a double-duty centerpiece when you put a candle on top. 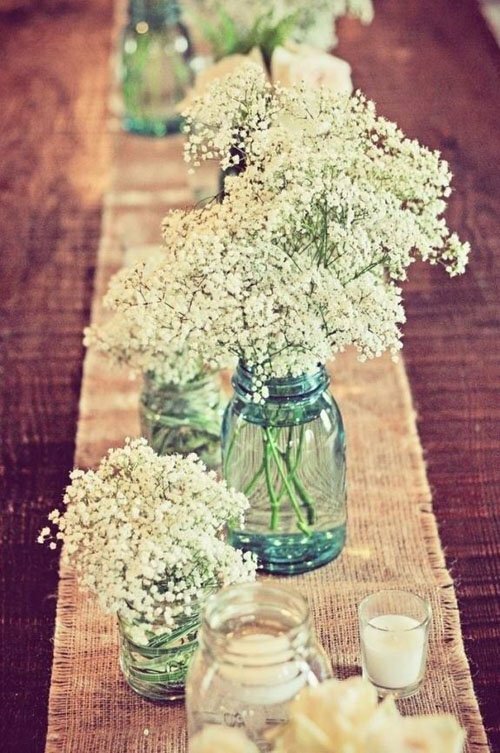 Baby’s breath is an inexpensive flower that is perfect for a rustic spring wedding centerpiece. Same with daisies! 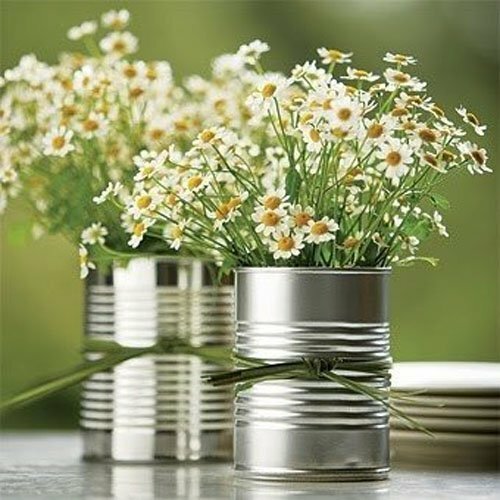 If you’re tired of mason jars, soup cans are another fun way to go. 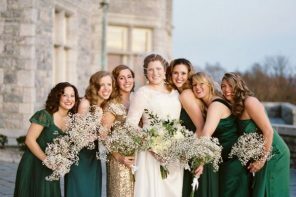 Wildflower wedding bouquets were made to be used at spring weddings. 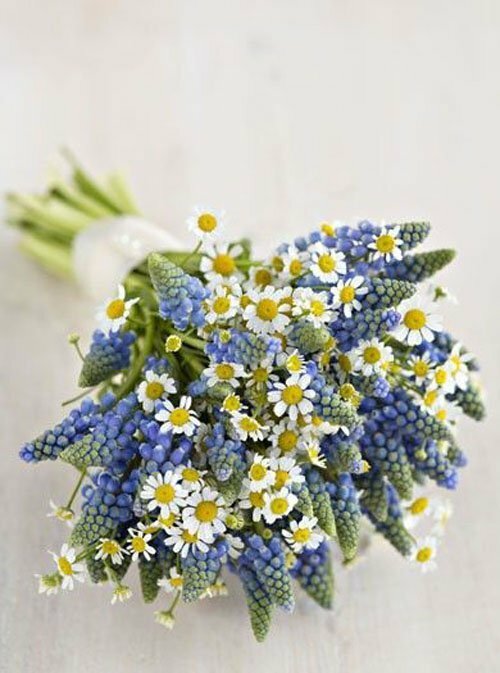 I love the colors in this daisy and muscari bouquet. 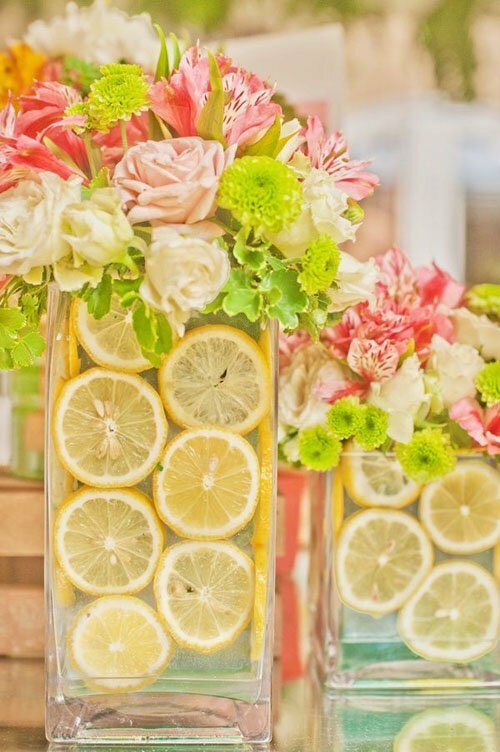 Use whole or sliced fruit to line your vases for an extra pop of spring color. 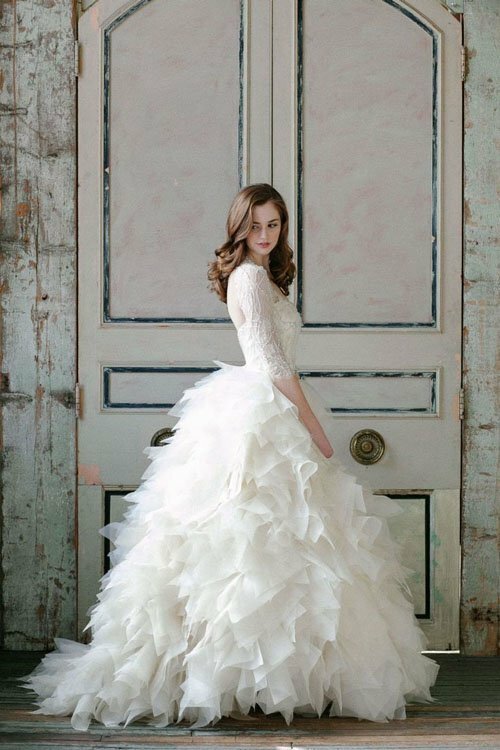 Look for playful and romantic wedding dresses made with lace, tulle, or even feathers. Incorporate flowers into your accessories. 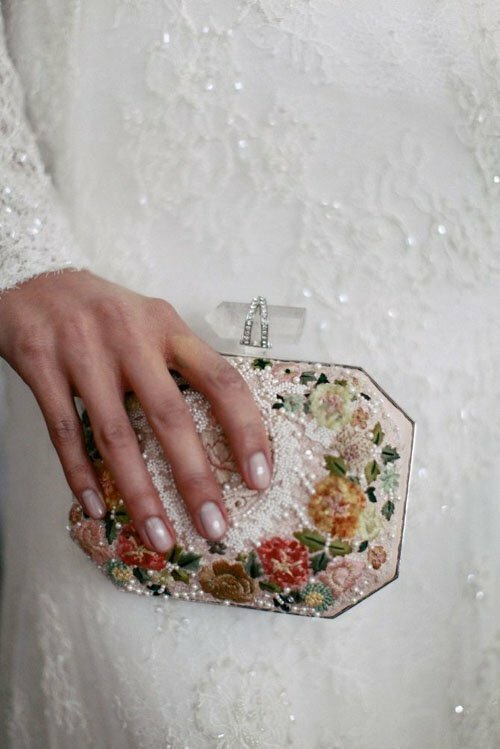 Search for vintage floral purses on sites like Etsy to recreate this look. 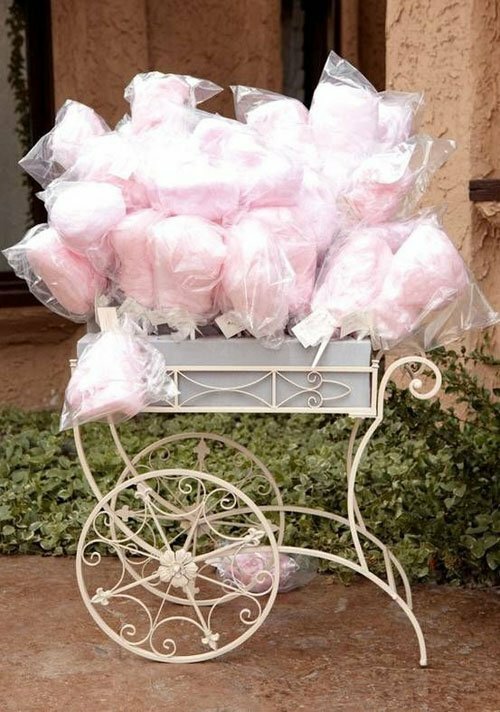 Pink cotton candy serves as both whimsical decor and a sweet treat (or wedding favor). You can still make an impact with just a few flowers. 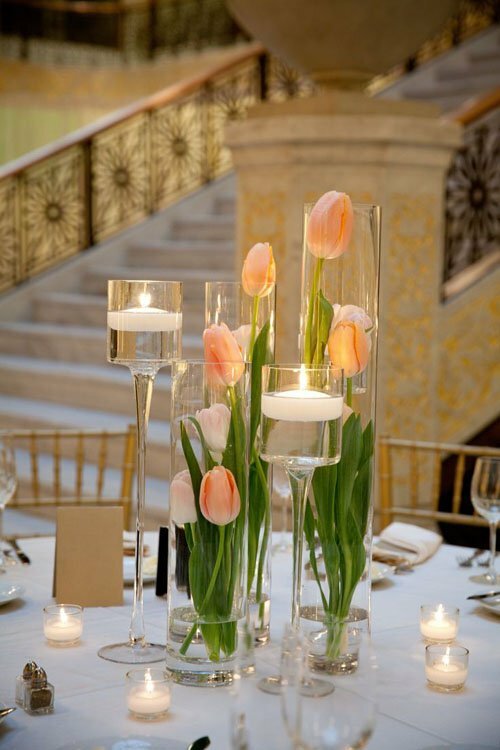 Tulips are so fresh looking when placed in two’s or three’s in tall glass vases. Cherry blossoms make a big impact without costing an arm and a leg. I’m seriously going to try this DIY centerpiece at home using a colander. 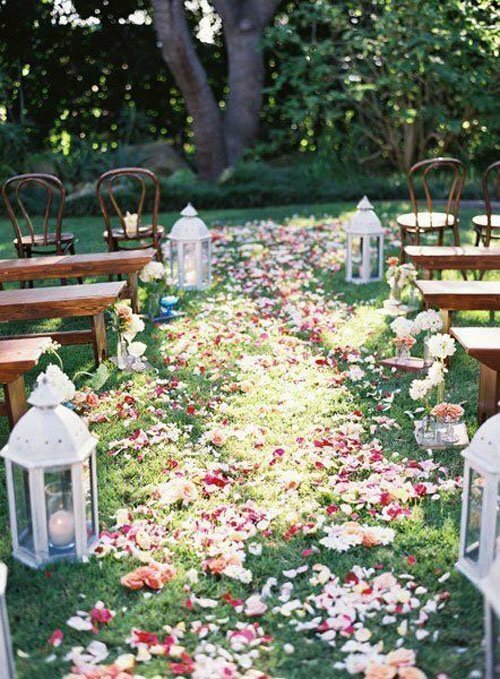 How fun is this for an outdoor spring wedding?! 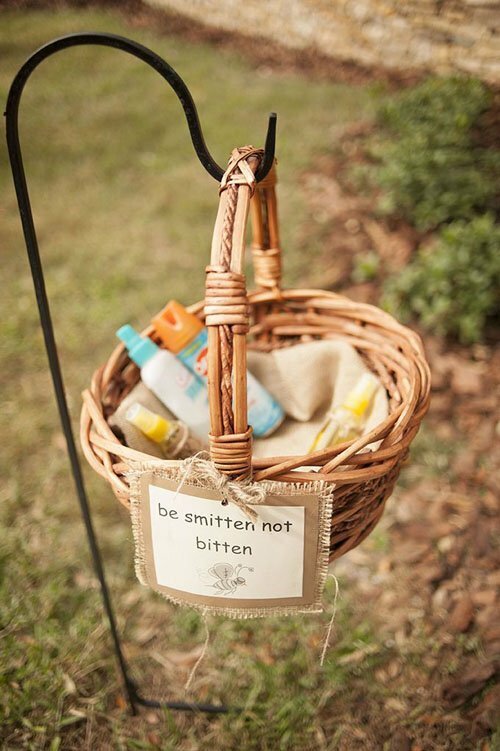 If celebrating outside, be sure to offer guests bug repellant. This is a cute way to display otherwise unsightly bottles. 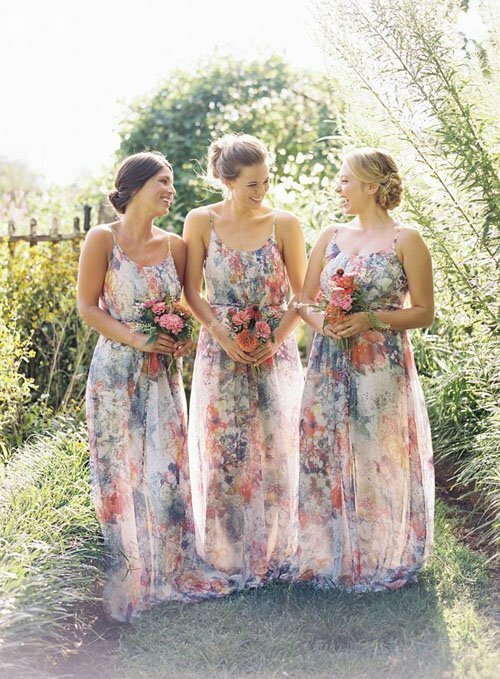 Floral bridesmaid dresses are high on my list right now! Petals on a grass aisle always look amazing. Adding flowers to unexpected places is a fun touch. I want to make this for my mantel ASAP. 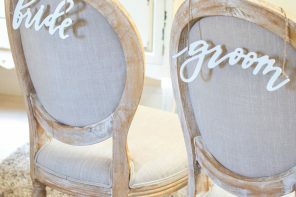 This is one of those wedding favors that is inexpensive, useful, and unique. 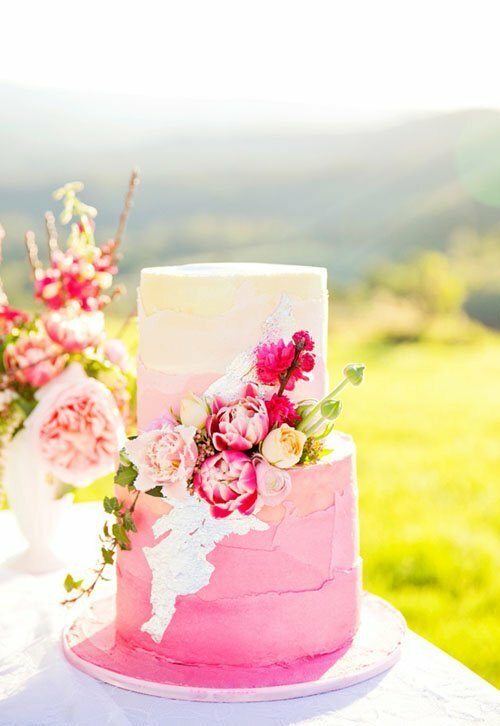 Think pink when it comes to spring wedding decor AND food. 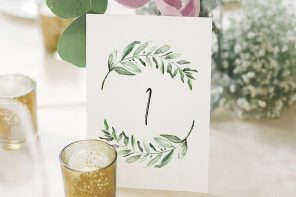 Let the floral motif extend beyond your invitations and centerpieces and onto your wedding table numbers as well. 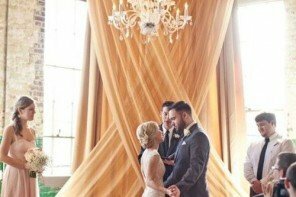 Are you planning a spring wedding? Tell us about your decor and flower plans! The “bird seeds” wedding favor idea is dumb… what will the guests do with it? Excellent post! I really like the color in your photos, reminds me of spring! Thanks for writng! Love the table numbers they look so cute. I would love to feature this post on my photography blog if you are okay with that!! I love all of these ideas!! So beautiful!! Calico or cotton drawstring bags are a perfect compliment printed or stamped with the new couples initials or married last name. 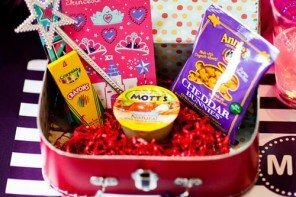 You can use them as handouts, gifts for guests that are staying overnight or even for smore supplies (food safe bags). Throw in some hay and some Mason jars and you instantly have a rustic wedding. 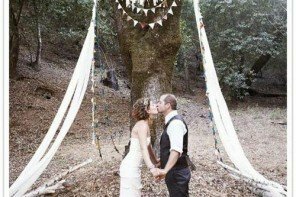 All of your ideas are super cute and I think they would work amazingly with a barn wedding. Floral power! 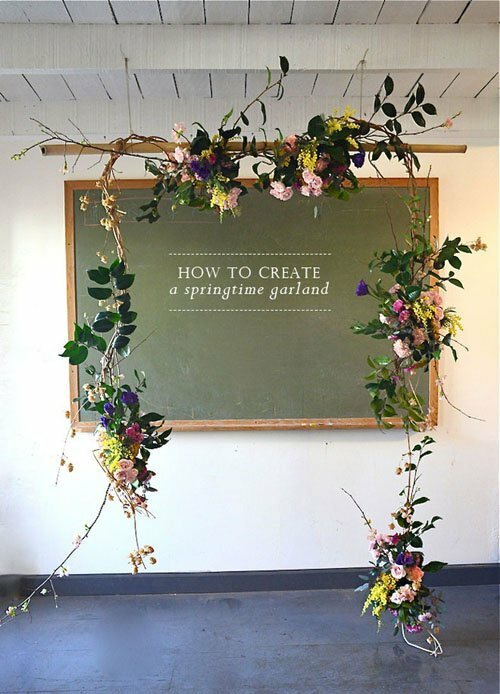 I love the use of flowers and decor, especially the springtime garland! Thanks for sharing some great ideas.